The paramount ethics that our company follows and the excellent customer care our trusted cleaners thrive on delivering for all London clients, make us second to none. No matter where you are based in London, we will provide you with the most comprehensive service: end of tenancy, domestic, hard floor, sofa, curtain cleaning that will make your premises shine on. ITT Cleaning Services Ltd operates in North London, South London, East London, West and Central London. 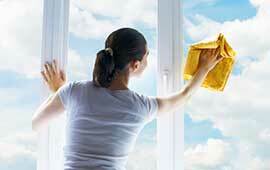 We are a leading and professional domestic and commercial cleaning company based in London. We specialise in local window cleaning solutions for businesses and private properties. During the years we managed to provide professional and efficient window cleaning throughout all London areas making sure our clients receive the most reliable, accurate and cost effective services provided by our professional cleaners. Cleaning windows is an expert job and it is important that you hire the work of experienced window cleaners London so that your windows are washed regularly. If you run a business and you have a shop or similar, then you cannot reject the need of keeping your windows shine and spotless. Having a regular expert carpet cleaning in your premises is not just essential when you stain your carpet, but it is also an vital clean that can removes grey microbes and dirt. Our cleaners in London will be able to service your carpet in the best possible way. 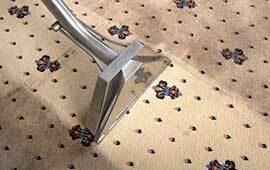 Get an instant on-line quote of our carpet cleaning prices. Having a domestic cleaning lady on weekly basis these days is not an benefit any more. It is a need. We can save everyone a valued sum of time, offering you to employ a domestic cleaner to take care house chres. Our specifically vetted house cleaners are being professionally trained to provide high standard home cleaning service. Our floor cleaning can bring back life to your old dingy floors! Our ITT Cleaning Company has the resolution that has already made so many houses look brighter and so many people satisfied. Hard floors are the epitome of class. They help your home to make a statement about you and your lifestyle. Sofa cleaning can be done with vast maintenance by using all the correct materials. Our expert sofa cleaners in London will not damage your upholstery in any way. Sofa has the capability to gather a lot of dirt and microbe that is unseen to the ordinary eye, but can sometimes cause dislikes and health harms to your family. Therefore, you should wash and refresh on a regular basis your sofas. Over the years, we have built a required standing for the supremacy and dependability of our cleaning experts, who are wisely checked and widely trained before being apportioned to clients.It is this excellent concern to aspect that has led to in many of satisfied clients and a wide list of expert skilled, passionate, full or part-time cleaners. Having regular rug cleaning in your property is not just needed when your rug gets stained or too dirty – it is also an important deep clean that removes dirty bacteria and prevents dust. ITT rug cleaners in London will be able to determine a cleaning procedure best suited to your carpet. Our after builders cleaning comes straight to your door, no need to do it by yourself! Having the builders in can leave a bitter sweet taste in your mouth. ITT Cleaning Services Ltd comes in valuable, as we deliver to people with a variety of services, which contains things like top to bottom daily cleaning or cheerful weekly services, or end of tenancy, sofa, window, curtain or carpet cleaning. If you need any more additional information about our company, please contact us online here or call us today on 020 8884 9145.